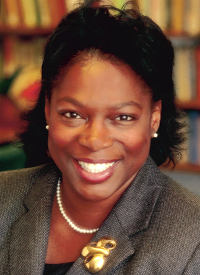 Diann E. Cameron-Kelly’s research interests include minority civic engagement; early childhood and civic readiness; and child and adolescent development. She co-edited the book Treating Young Veterans: Promoting Resilience Through Practice and Advocacy, and she has authored and co-authored numerous book chapters, academic articles, and conference presentations. As a Fahs-Beck fellow, she explored the civic legacy of the Civil Rights Era, and received the Sheila Starks Dudley Research Award from the African American Research Foundation. Cameron-Kelly holds a Ph.D. and M.S.W., both from Fordham University, and a B.A. from Temple University.